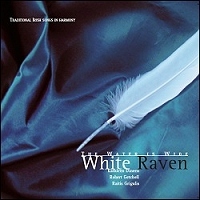 White Raven`s fourth album presents a selection of traditional songs which transcend the boundaries of the ocean which separates the three singers from their countries of birth. Irish, Scottish, Icelandic and American songs are all represented and celebrated in this collection. The three-part a cappella arrangements are sung with a clarity and simplicity that allow the originality of the songs to shine through. 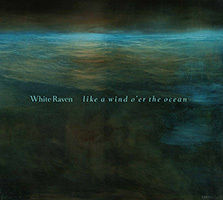 White Raven casts its spell on another beautiful collection of songs. 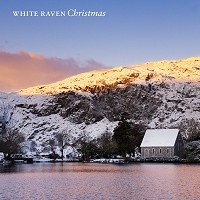 White Raven present their most beloved carols and lullabies from medieval to modern times sung with incredible clarity, warmth and finesse. These exquisite arrangements for voices and harp celebrate this joyful and peaceful winter season. 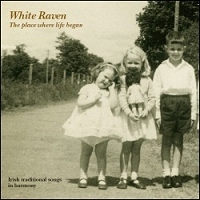 Our first album, re-released in 2006, on our own label “Blasket Music”, contains many songs collected from the late Elizabeth Cronin, a traditional singer from Baile Mhuirne, Co Cork. Our second album of Irish traditional songs, together with one of Ireland`s most outstanding fiddle players, Gerry O`Connor and American viele player, Shira Kammen, presents another exquisite selection of beloved traditional songs and tunes. Please fill out the order form below. 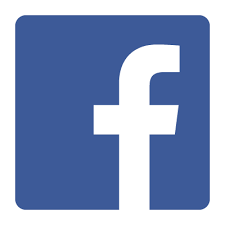 You will receive an email to confirm your order plus an invoice. The CDs will be dispatched within three working days.